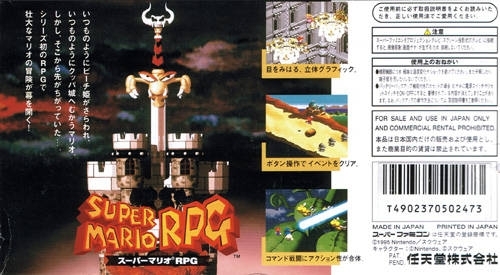 This was the final "Mario" game to be released on the SNES console, and also one of the strongest and unique Mario titles. 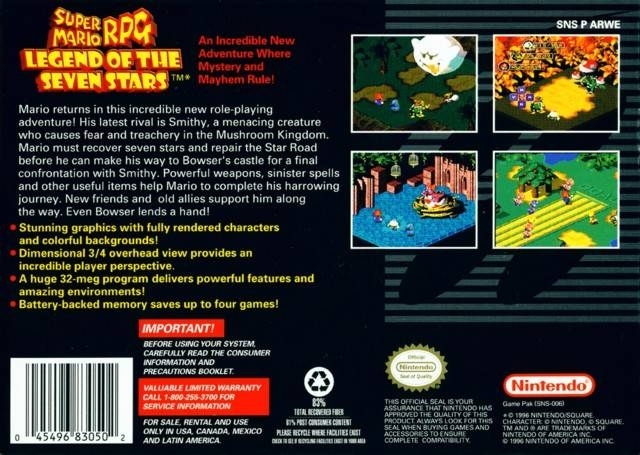 Unlike the traditional side-scrolling Mario games that were becoming common at the time Square Co. helped bring role playing elements and a seemingly 3-D enviroment to the Mario series. The major changes to the series come in a few different forms. First of all the game is no longer as shallow as "save the princess". It is intensely story driven. This allows for much more depth added to well known characters such as Mario, Bowser, Peach, and the mushroom people. The story is quite lengthy and has a few important plot twist and developments. This game also introduces a large variety of new characters into the Mario universe, two of them being playable. The second key change is the battling system. The fighting is all turn based like a traditional RPG. All characters besides having basic attacks also have access to "spell-like" attacks. This can range from simple jumping or fireball attacks common to Mario or such things as lazer guns and elemental spells. A nice addition to the battle system is also the ability to time regular attacks to preform additional hits. This helps break the monotony of turn based battles. All in all this is a fabulous title with an enthrolling and often humorous story to play through with quite a few side quests to keep you busy for many many hours learning all you can about this new villan and his presence in the Mushroom Kingdom. Great game, but in my opinion Paper Mario TTYD is better. And to be honest I think Bowser's Inside Story is a better game too. 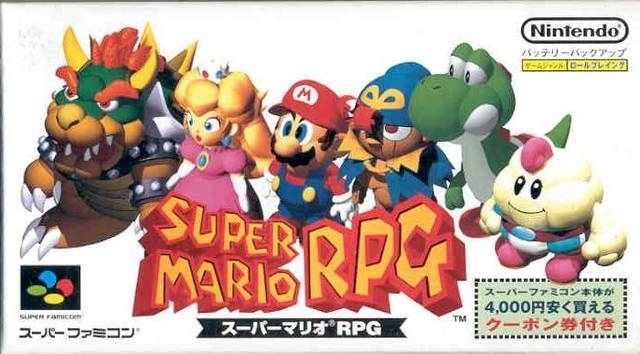 Anyway, there's a lot of good Mario rpg out there. 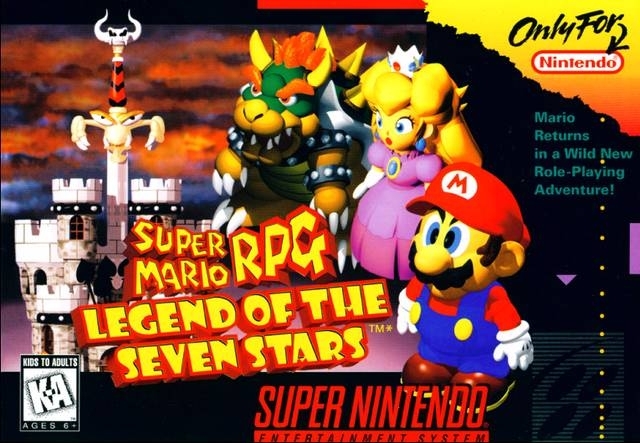 i love this game so much in the 90s.yeah Nintendo need to make a Mario RPG again. Man, I'd really love to see a remake of THIS on DS.